Our Zoo Camp Staff are amazing! We look forward to seeing you at camp! Alyssa has been teaching Zoo Camp since 2013. 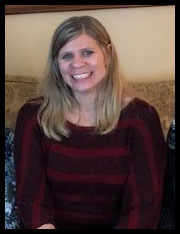 Prior to teaching at the Minnesota Zoo she worked in education at two other zoos and also wrote her Masters thesis on teaching students with disabilities in non-formal education settings. 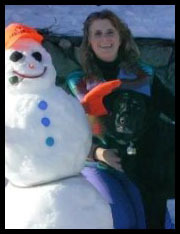 She loves teaching a variety of camps so you may see her with any age or topic. 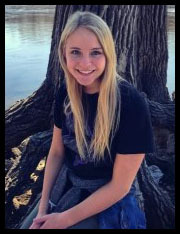 Alyssa loves connecting campers to the natural world and empowering all children and young adults in conservation actions. 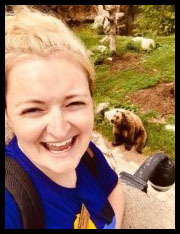 When not teaching Zoo Camp in the summers, Alyssa works as a school psychologist. 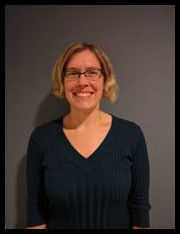 Bethany started teaching environmental education programs in 2005. She has worked as a naturalist in 5 states across the U.S., getting to work with as many creatures as possible, and delighting in sharing those creatures with others. 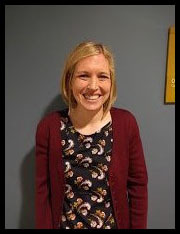 Bethany joined the Zoo Camp team in 2017. She enjoys the opportunity to create a sense of community in her camps, see campers grow throughout the week, and help them fall in love with nature. Chelsea started working as a Zoo Camp instructor the summer of 2017. She now works at the zoo year round as an Interpretive Naturalist doing a variety of different programs. She has worked in the zoo world for the past 7 years and has a lot of passion for animals and teaching children about the natural world. Dawn has been the zoo for many years in the Education Department. She loves working with children at the Zoo. Animals and nature can be powerful teachers and there are so many things the children can learn about world while taking classes and camps at the Zoo. Deb started at the Zoo as a Volunteer in 1998. Her love for animals and kids led her to an internship in the Education Department the summer of 2000 where she realized she loved teaching kids about the farm. That’s where you will find her most of the summer, teaching many of the Farm Zoo Camps. Her favorite part is watching the campers get excited about farm chores….who knew shoveling manure and spreading straw would be so much fun! Even more important to Deb is seeing the joy on camper’s faces throughout the week as they learn about how our animals are cared for. The hands-on experience they get at the farm is definitely a unique educational experience that keeps campers (and Deb!) coming back to farm camps year after year! 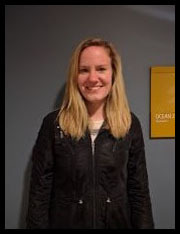 Erikka has been at the zoo since 2006 and was also an education intern. She teaches a myriad of education programs at the zoo throughout the year but always looks forward to summer Zoo Camp. She genuinely enjoys giving each child a unique experience full of mutual enthusiasm as they connect with the natural world. James had been a Zoo Camp Naturalist since the summer of 2008 and has loved it since day one. 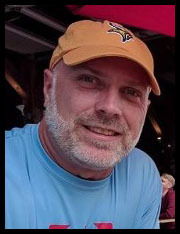 During the school year he can be found teaching second grade and has recently received his master’s degree in education. Here can’t wait until summer to get back to camp and interact with all of the campers. 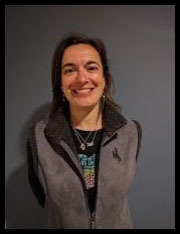 Jen has worked in the Zoo’s Education Department since 1999, and is currently the Coordinator of Family Programs, which includes Early Childhood, Overnights, Nature Club, and other family programs. Born and raised in Philadelphia and previously worked at zoos on the east coast. She has a background in dance and likes to incorporate movement into her programming. 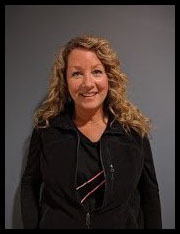 She enjoys collaborating with other arts organizations, including MacPhail Center for Music and the Children’s Theatre Company, to create unique Zoo experiences. The best part of working at the Zoo is ‘catching’ and fostering the infectious enthusiasm of our youngest future stewards of wildlife & wild places. Jessica has worked at the MN Zoo since 2004. She can usually be found sleeping at the zoo (educational overnight programs) but has been seen many places throughout the year, even driving the monorail when it was here. She especially enjoys Zoo Camp and developing a special bond with her campers. As a child animal enthusiast herself, she loves sharing fun facts about our animal friends and joining in on the excitement. Jessica tends to consider herself a ‘big kid’ and likes to view the world through children’s eyes so prepare to get dirty and have some fun while at the zoo. Jessica has been in Education at the Minnesota Zoo since 2014. Her passion for nature began at a young age, thanks to camping and fishing trips with her family. She received her Bachelor’s degree in Biology from the College of Saint Benedict/Saint John’s University. 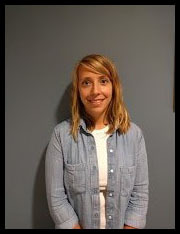 Jessica works in Special Education during the school year. She admits that she gets “just as excited” driving in through the zoo entrance now (as an employee), as she did upon her childhood visits. Being able to share her enthusiasm and knowledge with children, while experiencing their awe of the zoo is a dream come true! Katelyn has worked at the MN Zoo since 2015. She served as the student para-professional her first two years, and is now a camp instructor. She absolutely loves spending her time at Zoo Camp with kids who love the outdoors and animals just as much as she does. Her favorite part about Zoo Camp is getting to see the zoo “behind the scenes” and up-close animal encounters. She has her bachelor’s degree in special education and communication disorders. 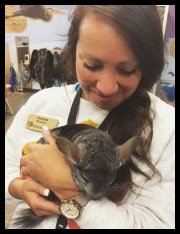 Kelsey started her zoo experience as an intern at Zoomobile which gave her the passion to work in education. After spending some time at a local museum as a Naturalist and summer camp teacher, she started with the Zoo Camps in 2015. She took a year off to work in wildlife conservation with a local park district and has been back ever since! She now works year round with the zoo on additional programming and education and always looks forward to the zoo summer camp adventure. She can’t wait to share her summer with you! Kelsey enjoys teaching summer camp because she learns something new every day and each day is exciting. 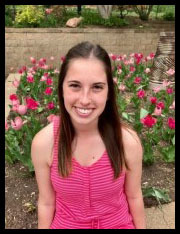 When Kelsey isn’t working at the zoo she enjoys spending time with her family, cooking, taking walks, going on fun adventures, and playing games. During the school year she is a preschool teacher. Kristie has been at the Minnesota Zoo since 2009. If you’ve ever called or emailed our Education Department you definitely would have heard from her in her role as the Community Programs Scheduler. 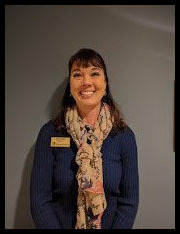 She loves providing the best customer service possible to you and your family so you can have an awesome experience at Zoo Camp or one of the many other educational programs. 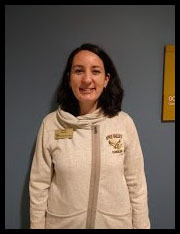 Leah has worked at the Minnesota Zoo since 2008 and has also been a Naturalist at seven different Minnesota nature centers since 2002. She loves creating and playing games and sharing her genuine excitement and passion for bugs and other animals with campers. 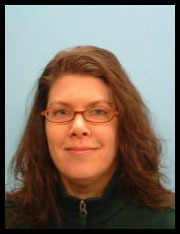 Lisa has been at the zoo since 1998 as an Intermittent Interpretive Naturalist. What started in Zoo Camp grew to include many different educational programs and event opportunities to help at the Zoo throughout the year. She enjoys taking your children behind-the-scenes and sharing the amazing Zoo happenings with them. She feels very fortunate to work in an environment that teaches others to care about and protect animals and wild places. Liz recently graduated from the University of St. Thomas with a major in Psychology and minor in Biology. 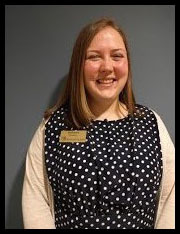 She currently studies Counseling and Student Personnel Psychology at the University of Minnesota and plans to work with children as a licensed mental health counselor in the future! Liz acts as a nurturing and encouraging support to all campers with varying degrees of abilities. Additionally, she supervises before care and lunch. She enjoys listening to the reactions and questions that campers express while observing animals, and loves watching them build friendships with each other. Max has been at the Minnesota Zoo since 2014 and has loved all of the opportunities to get close to wildlife! 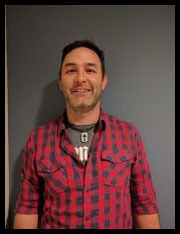 He has a background in secondary science education and in addition to working as a Zoo Camp instructor and zoo naturalist, Max is an administrator and middle school/high school science teacher at a private school for twice exceptional learners. He loves the opportunity to spend summers outside… especially if he can get some campers out there learning, too! Megan has been teaching Zoo Camp since 2011. She has been working at the zoo year round since 2015 as an Intermittent Interpretive Naturalist. Before coming to the zoo year round, Megan taught high school for 9 years. She taught physical science and a variety of biology classes at both public and a private schools. Megan loves helping kids connect with nature through fun hands-on experiences. Megan has been teaching Middle School English since 2013 and has worked in several different camp settings throughout the years. Megan teaches various Zoo Camps at the Minnesota Zoo, and is excited to share her love of the natural world with campers each summer! She loves learning about animals and sharing that passion with children of all ages! 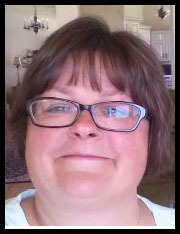 She has an elementary and early childhood degree from Winona State University. During the school year she teaches preschool. She has been teaching Zoo Camp for the last 10 summers and she loves seeing the excitement of the kids as they come each summer to experience animals and nature in a unique way. We can learn a great deal thru children’s eyes. Michelle has been at the Minnesota Zoo since 2017 and is the Lead Worker in the Horse Program. She has a bachelor’s degree in Business and Biology and is a Certified Therapeutic Riding Instructor with the Professional Association of Therapeutic Horsemanship International (PATH Int’l). She volunteers her time (and her horse) as a therapeutic riding instructor with a few other organizations. 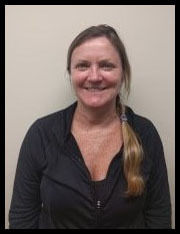 Michelle has been riding horses since she was 8 years old and has extensive knowledge in equine management and training. She also has previous experience as a Zookeeper and Zoo Education Coordinator. She loves working with children of all ages and sharing the joy of horses and compassion for animals. 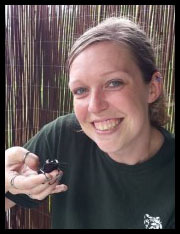 Molly has worked at the Minnesota Zoo since 2004 as an Interpretive Naturalist. During the school year you can find her teaching high school Environmental Studies and AP Literature, but she loves returning to Zoo Camp each summer. The best part of teaching camp is learning from the campers. They always have so much to teach her about wildlife, curiosity, and fun. Patti has worked at the Minnesota Zoo since 2001 and was also a Zoo volunteer and education intern. 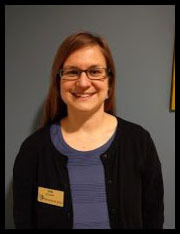 Prior to this she worked for the University of Minnesota as an Education Coordinator. Patti coordinates the School’s Out and Summer Camp programs and feels very lucky to work in an environment that teaches others to care about animals and wild places. She revels in seeing the spark of the natural world take light in children who participate in the Zoo’s programs and loves passing on her knowledge of the amazing creatures we share the world with. 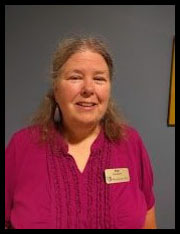 Sue has been a Zoo Camp instructor at the Wells Fargo Family Farm since 2001. She has also been a Minnesota Zoo Volunteer since 1998. During the school year she teaches preschool and has been since 1989. Her passion is using hands on experiences with children to excite them to learn about the importance of farm animals. She started at the zoo as an education intern in 1988 and have enjoyed teaching Zoo Camp and volunteering at the zoo ever since. 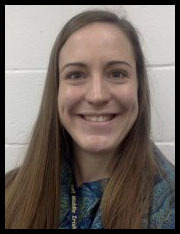 During the school year, she teaches biology and wildlife forensics at a high school “up north”. She enjoys spending time exploring the zoo with students of all ages. 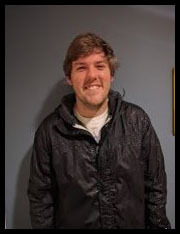 Tom joined the MN Zoo team in 2016 as a Horse Camp Instructor, and also teaches a variety of programs and camps. He earned his B.S. in Fisheries and Wildlife Biology from the University of MN, and enjoys connecting youth with wildlife and conservation. 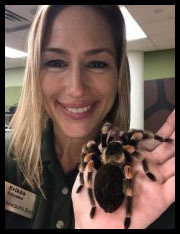 Tristi has been working at the zoo since 1997 in many different positions; including driving the monorail, guest services, and marine mammal trainer. Her two favorite positions at the zoo are working with campers in Zoo Camp and taking care of Sea Otters! During the school year she can be found teaching high school Biology. Tristi enjoys watching the light bulbs of curiosity and interest turn on in all the students she works with! Tyler has been at the Minnesota Zoo since 2013 and supervises our camp program. 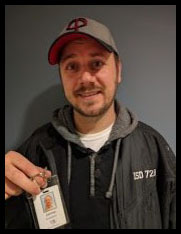 He has worked in the Zoo education field since 1997 at three other zoos as well as at a nature center and the University of Minnesota. He loves the excitement kids of all ages have when they experience animals and nature in new and unique ways. You may not see him much, but he is always around making sure your child is happy, safe, and thoroughly enjoying Zoo Camp.